This will be the most boring start to a photo thred ever. Izzie took bunches of pix of my smallish tropical tanks while visiting from England, and we will land them here as she finds time. Please post your own pictures as you like. [+4] - ehBeth - 08/31/2008Eva, what's that green stuff in the little bowl on the plate? [+3] - Robert Gentel - 08/31/2008Are those blind Tetras in the second picture? If you ever get a thread about aquariums going I'll add pictures and videos of my tanks. Eva, what's that green stuff in the little bowl on the plate? ooooohhh.... that's a cute one!!!! Are those blind Tetras in the second picture? If you ever get a thread about aquariums going I'll add pictures and videos of my tanks. Oh, don't mind us. We're just messing around. We'd love to see your pics, RG. Yeah, if they're halibut, count me in! Oh, I could go for some right now. "Eva, what's that green stuff in the little bowl on the plate? " MUSHY PEAS , perhaps ? Yes, that's it! 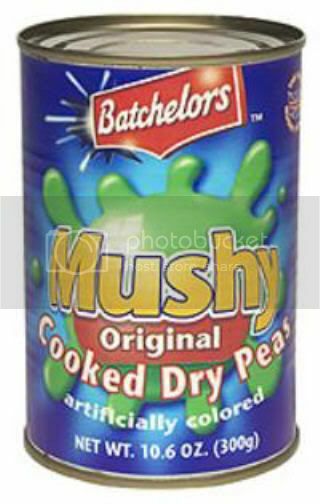 Mushy peas! 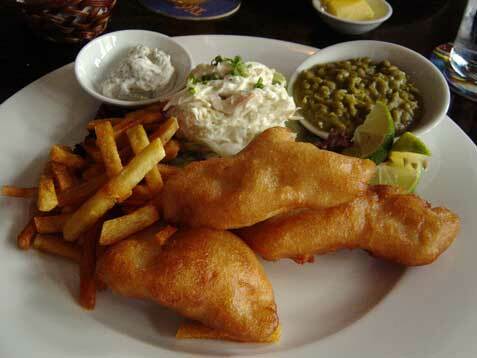 Traditional side dish for fish 'n' chips. I have a tank question, but I'm not startin' a new thred, so if I get an answer, you will be stiffed on yer red ribbon thingy. I am REALLY fighting algae in the big tank. I changed out 1/3 of the water last night, but it is still murky and greenish. No live plants yet, and it sits right next to the small tank which has zero troubles. Any ideas, smart fish folks of A2K? Good day Rockhead. This link provides some answers. Might have to play with the light, the big tank does have a significantly brighter lighting set-up.